Mission description: Your job is to scout around the village to make sure the area is secure. Lately their has been some issues with people stealing and and causing problems around the village. If anyone starts any problems, report it to higher ranking shinobi. "Ok, first mission with the team. This'll be fine. This'll be great. I've done two D-ranks before, and this one's gonna be no problem." I told myself, psyching myself up in my mirror. Yeah, but think of how those last missions went. Trapped in a mine and bringing back the wrong cat. Well, this mission there'll be no problems. I've learned more jutsu since then and everything should be fine. And even if it does go wrong, the whole team will be there. "Yeah, it'll be fine." I mumbled to myself as I put my headband on. I double-checked my scrolls and weapons. I had kunai and senbon, though I didn't really like the senbon that much, I still preferred them over shuriken. They just always seem like they hurt just way too much. Senbon allow a lot more precision. I walked out of my room once I was sure I had everything I would need, and found my mom waiting for me at the table, reading some work of fiction I hadn't heard of. "Nobuya, I'm not letting you leave without breakfast, you know." "I already had some while you and dad were still sleeping." "Well at least take a snack," she said as she threw an apple at me. I smiled, formed the hand sign, and caught it in a seal. I'm getting good at that. My mom laughed at my response, and I yelled, "Bye, mom!" as I walked out the door. Today, sensei said he was going to meet us at the front entrance to Kirigakure, or at least that's where we'd get our mission, so I jumped on a roof and went off towards our meeting place. Description: The user attempts to “catch” a single item projectile by sealing it into their left hand. This can only be attempted if there are no other seals on the user’s left hand. Despite the jutsu’s name, it can catch any single item projectile (of any rank), even if size restraints would make it bigger than the appearance of the seal itself. However, the jutsu will fail if the item projectile is in any way enhanced by chakra. The user takes no damage from the projectile (if the jutsu succeeds), but can take damage from other projectiles launched at the same time. The weapon can later be retrieved at any time (robbed of its momentum) by unsealing the jutsu with the same hand sign, at no chakra cost. Another early morning, huh? Always more wood to be chopped. Yawning as he went out back of the inn, Gattsu performed his chores to earn his keep. The morning held a thick mist from a cold night, but it didn't take long to work up a sweat splitting wood. Hope the bath is hot when I finish all this. I'll need it for today's patrol. Can't have the other shinobi trying to avoid me while i do my job, can I? After about an hour and a half's work, the pile inside the wood storehouse was finally back to it's former glory, with enough to carry them through three days if need be. The bath was warm and inviting, after which Gattsu prepared for today's job before leaving, making sure to leave a note for the innkeeper. The headband fits good and tight on my arm, so i'll be keeping it there for now. Shouldn't need any of the weapons, but better safe than sorry, I suppose. I'm pretty sure we just report to higher shinobi anyways. Jogging through the misty streets of kirikagure, Gattsu made his way to the meeting spot. His eyes opened a little more rested than the night before. He didn't get a full nights sleep, but he got some. He rolled out of bed before jumping in the shower. He didn't take much time in it as he wanted to get an early start. He brushed his messy hair, making sure to get in a somewhat tamed fashion. He put on his clothes and grabbed his stuff before walking out of the empty house. It wasn't the same with no one to share it with, so he didn't like to be there much. He got out of the house and moved to the rooftops hoping the view would do him some good. The mist was thick as per usual, but he wouldn't haven't it any other way. He moved from spot to spot almost absent minded, not even thinking about the mission that was before him. It was a low rank mission that didn't have danger involved, so there wasn't that much to think about. It wasn't long before he was approaching the meeting spot, so he moved to ground level and walked up casually. Soon he would do what he needed to do. Kenshin was already up as the time came to meet. He had been working on setting things up for their travels. He had a mission approved for it and they were even going to meet up with another Kiri ninja in the village. He wanted to make sure that they didn't have to worry about attacks while doing this. However, that was still a day away. Today's agenda involved a mission that they were doing, which he decided to start getting ready for. It didn't take him long to freshen up before grabbing his bow, flack jacket, and quiver. He walked out the door briskly, heading to the meeting spot. The gates were a good bit away, Kenshin had plenty of time to contemplate how everything the team would do on this simple mission. Kenshin wouldn't be directly beside them, but nearby enough that they can all hear if someone yells. He approached the gates finally and saw all three students arriving within a couple of minutes of each other. "Okay guys, The mission is to patrol and if you see anything to let a higher rank shinobi know. Do not try to engage by yourself if someone appears. I will be within earshot if you should need me." He spoke calmly as he explained their orders. He knew they had this in the bag. "Okay guys, The mission is to patrol and if you see anything to let a higher rank shinobi know. Do not try to engage by yourself if someone appears. I will be within earshot if you should need me." Right, this should be fine, just like I thought. Shouldn't be a problem at all. I waited for the command to scatter, and jumped on top of the gate, running to the right. I had an idea of where my initial position was supposed to be, though to be honest, I didn't really travel to the gate often. I mostly just kept to the interior of Kirigakure. Still, I found the approximate spot and started scanning my horizon. To my left, I could still see the rest of the team, but they were taking up their own patrols. I jumped into the trees. There was still a thick mist permeating the are, but I was able to see well enough. And I could always rely on my sense of hearing, though it did cause me to grow suspicious of a few scavenging animals. Still, nothing was too out of the ordinary so far. I unsealed my apple from my hand as I ran, taking bites between leaps. I wonder how the others are doing? Iro and kenshin had arrived, their orders for the day at the ready. Nobuya took the gates right side when the order to scatter came through. Gattsu doubled for the left, figuring the wall sides would be harder to hide near, making his job a bit easier. As he paced the wall, checking the alleys as he went, it wasn't long before something came to. Twenty minutes had barely passed when he heard the sounds of a struggle. Rushing down the wall, tossing a glance into each alley, the source of the disturbance was found in the fourth one he checked. A man holding a womans bag, and her kept at bay via kunai point. Just a mugger, huh? I should probably stop him first, or hell just run. "So, you like to take things from people, huh?" Both of their heads quickly snapped into Gattsu's direction, indicating he had their attention before the man spoke. "Stay out of this, shinobi scum!" The woman took a step back, realizing the man wasn't afraid to go down fighting. 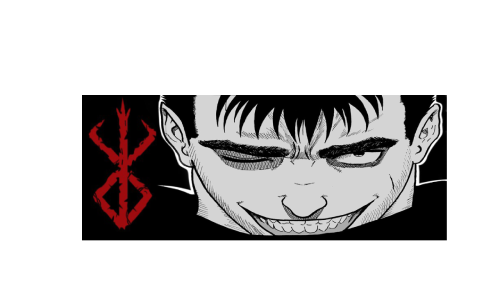 Gattsu took another step towards the man, his face slowly curling into a disturbing horror of a smile. "I'll be nice today, and give you some options. Option one: you give her purse back, set the kunai on the ground, and leave. Option two: You choose to do literally anything else, and I get a little bit of stress out before i turn you in. So, the easy way, or the hard way?" Please, please, please pick the fight. I can not stand people like this. The man appeared to think for a moment, before making his move. 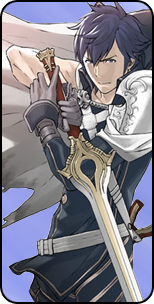 He lurched toward Gattsu, blade in hand. The thrust was weak and slow, clearly showing the man had no formal training, and that this probably wasn't something he had been doing a while. The first was clumsy, giving Gattsu plenty of time to get his guard ready for a second attack. "How about option three: You die!" In a moment that seemed to stretch to infinity, the second attack came. The blade came close to his neck, the wind clearly had been felt from the force of the man's swing. Gattsu had begun gathering chakra in his right hand, and was merely waiting for the perfect moment. Only a few more swings, wait for your opening, and cave his face in. One straight ought to do it. Gattsu tried to give him an out before it came, but with a loud yell, his opening was found. The man went for a large overhead swing, putting the blade way too far back to react in time. A deep left step followed by a full body rotation into a right straight, with a block of ice firmly on his fist could be seen before it connected with the man's jaw. A loud crack was audible before the man hit the ground, kunai tumbling off to the side of the alley. Gattsu grabbed the woman's purse, handing it back to her. "Sorry about that, not everyone is nearly that bad. If you'd like, you can come with me to report this man, i figure ill just drag him unconscious." "Thank you for the offer, but i really should be heading home. I do appreciate the help though. My family runs the bakery near the gate, if youd ever like to stop by." Hmm. Seems pleasant enough. I suppose i should. "I'll be sure to sometime. Stay safe out there." Grabbing the comatose man before making his way out of the alley, Gattsu began his walk back to kenshin, knowing full well he wasn't supposed to get involved. Hope i'm not getting in trouble for this. Once Kenshin was done speaking, the other two darted off to each end of the wall to check things out. That left the beaches and open water areas to check, and so Iro took off. It didn't take long for him to reach the first section of beaches. People were doing the usual as they fished, swam, and relaxed. It was one of the nice parts of living in a water driven country. He would walk at a decent pace, making sure to look the beach front and initial entrances to the city. The first stretch wasn't eventful, and so he moved on to the next. He made sure to track his time so he could meet back with his squad. The next beach wasn't far away. He arrived and continued looking. Not even a drowning victim to save or anything. It seemed it was going to be a quite day. The dock was at the other end of the sand, and so Iro continue forward as he checked for unusual people or events. Once again not much of note happened. Mostly just him people watching and finding himself bored as he continued towards the dock. Once there, he jumped on and walked it up and down. He would nod to various crew members and captains as he looked at each boat. Everything seemed to be in order. With a wave he would take off once again. He had to go the farthest, so it was probably time for him to head back and see what happened. As they each took off in opposite directions as they immediately chose different locations without having to communicate it. It was a good idea to split up considering where they were and what rank the mission was, so he was fine with it. He didn't figure they would see much. Most criminals knew that Solstice did not tolerate things in her village. He honestly expected this to be a boring mission, but it did have a point. Could they follow orders? He would see soon enough. He sat on the ground with his bow in his lap as he leaned on one of the buildings. He wanted to allow them a chance to make decisions without him and see what kind of critical thinking they had. He would sit there for a bit as he listened for a few minutes. Then he decided to do a quick walk towards each area to see how it was going. He took off in land as he figured he didn't have to go that far to hear if any commotion was going on. Nobuya and Iro's directions both seemed to be quite, but Gattsu's direction had some pretty clear sounds coming from that direction. This might actually be interesting. Once the sound faded, Kenshin moved back to the starting point quickly in order to beat them there. It didn't take long and Kenshin was back at the start as he waited on his squad to report in. WHY IS THERE ABSOLUTELY NOTHING GOING ON?!? I mean, it's definitely good that there isn't any crime in my neck of the woods, but I can't even show off my skills to the rest of my squad! So far, I've just been average to below-average at things and I thought today would finally be the day I could prove myself to them! Oh well. Maybe next time. It's probably time for me to head back and report in. A big ol' report full of nothing. I started to turn around and head back to Kenshin-sensei when I heard a subtle noise from below me. It was barely noticeable to me, but it sounded like an animal. Not a sound an animal normally made though, it seemed to be quite different, for some reason. I hopped down, and looked around. Too late I heard a low growl, different from the first noise, and most definitely aggressive. I froze in my tracks, slowly turning to see some sort of big cat animal staring at me, quietly sizing me up to see if I was a threat. I wasn't quite sure the exact species, but it definitely had feline characteristics. I looked past it for a moment and saw some sort of cornered animal on the ground, seemingly stuck inside a fallen tree trunk. It looked like some kind of large armadillo, which was odd because I hadn't really seen any in this region before. Ok, so that was the source of the earlier noise. Whatever this thing is was just hunting that armadillo, and apparently it was almost successful when I jumped down. So, I should probably just back off. I don't like the fact that the armadillo's gonna be eaten, but I don't exactly have a choice. I can't just let the bigger animal starve, that would also be cruel. My best bet is to back away slowly and let it have its meal. Apparently, the big cat had other ideas, and leapt after me as soon as I took a step backwards, putting all its weight on me as I managed to block its claws from digging in. I managed to quickly push it off me, earning a slash to the arm in the process as I panicked. It was only about a 1 cm cut, but I woudn't want any more of them. I jumped up and into the trees, but the big cat just kept following me. I'd have thought it would've gone for the easier armadillo target, but apparently it had a craving for human meat instead. Well, it seems I'll have to take care of this quickly then. I steeled my resolve and flipped off one of the trees, aiming to land behind the predator while I made my hand signs. As I landed, I slammed my palms to the ground and watched as earthen tendrils shot out of the dirt, racing towards the animal. It tried to quickly sprint out of the way, and it almost made it out of my range, but the disorientation from me jumping behind it gave it a moment's hesitation. I guided the tendrils, and its back two legs were ensnared. It wouldn't last forever, but the seal ensured that I would be able to get away. Pleased with my quick victory, though disappointed that I suffered a wound that was actually hurting quite a bit that the adrenaline was wearing off, I headed back towards the armadillo. I don't want this guy to starve either, and I think that whatever feline monstrosity that was lost the right to this meal anyways. I broke a hole in the trunk large enough for the creature to escape, though it was obviously really frightened of me, and darted away as quickly as possible. Hoping I wasn't too late, I rapidly ran through the woods, back to Kirigakure proper, and back to the meeting spot. It seemed like I was the last one there, and I jumped from the wall down to them as quickly as I could. "Sorry I'm late, I got a bit caught up with something." Probably shouldn't tell them unless directly asked. Fighting a random wild animal that I was to careless to avoid wasn't exactly in the mission description. I looked over at Gattsu, hoping maybe he, as a medical ninja, might be able to patch up my scrape, but I noticed he looked like he had had a bit of a fight himself. The signs weren't super obvious, but there were flecks of blood on his clothing that I'm guessing he either didn't notice, didn't have time to clean, or just didn't care enough about. "So, anyone see anything interesting?" Description: Earthen tendrils travel at ground level from the user’s palms at a rate of 40 m/s. These tendrils are homing, dependent on a direct line of sight with the target. The tendrils then quickly wrap around the target’s legs, rooting themselves to the ground, immobilizing the target’s legs. 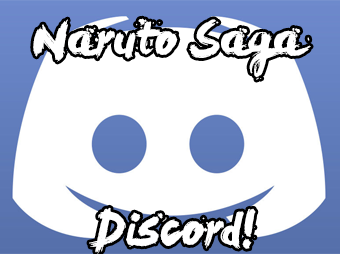 If successful, the user can then create a seal with a set amount of chakra that will sustain the jutsu by feeding it user-provided chakra while keeping the user’s hands free. This jutsu’s weakness lies in its limited range, and in the increased chakra cost needed to "power" the seal, making this jutsu cost 20 chakra total. As the chakra for the seal is flowing through the tendrils, the full cost of the jutsu must be paid regardless of whether or not the seal is created. Almost the moment Gattsu reached the meeting spot, Kenshin landed back in place. He took the man without so much as a word, with Gattsu waiting about thirty minutes for his return. Whilst waiting, Iro had arrived, and they had merely waited in silence, observing the world as it was around them. Figure if Sensei wanted us to talk, he'd probably say something, right? After Kenshin had finally returned, they waited for Nobuya, tensions high from the encroaching silence. Nobuya had finally arrived, bringing in the squad once more. He looking a little scraped up, but overall seemed to be lacking any serious wear and tear. "Yeah, i have. Come here for a second, so I can patch you up." Gattsu too the two first fingers on his left hand, and coated Nobu's wound with ice. "If you give that just a second, it should crumble away. The cold tends to numb you a bit from the sensation of healing so fast, but if it hurts still, i'm not surprised." This is enough for a wound so small, but i should really look into learning better medical techniques. After applying the ice based dressing to Nobuya, Gattsu returned to his spot to await Kenshin's words. He seemed to continue his wait, as if we were waiting on another person to arrive, and Gattsu decided to break the silence. "So, I've been meaning to address the whole freedom thing. We are not slaves or anything, but after the yuuki and kori came and revitalized the clan, they also bought most of the good properties too. Most of us are working for almost nothing, and to afford to be able to lose the extra source of income takes a lot of effort. My father worked many nights to have earned enough to retire without my income, My mother even watched a lot of the local children for quite a few years too. If you happened to be close enough to the original house you might still live in a nicer area, but my parents couldnt afford one until well after the property was bought." Description: By concentrating Hyoton chakra in the fingers, one can touch a wound and cover it in ice, healing a single instance of D rank damage. The ice crumbles away on its own once the wound is healed, taking one full post to finish expending the chakra in the ice to accelerate the natural healing process, under the guise of merely sealing the wound over. Strafe and Momaru walked casually towards the village gates as his mind ran with the different things he had to catch up on. The hospital needed some updates and he had duties that were years behind at this point. He sighed at just the thought of it. He would get to that when the time came, but for now it was time to be a parent to one of his adopted children. Noxxi was at home now and everything was starting to get back to normal. He was actually kind of excited to meet Iro's squad. He knew Kenshin a little, but the other two genin were mysteries. As he approached, he saw the squad standing there around their sensei. Gattsu seemed to have an unconscious body with him and he looked to be healing a small cut on Nobuya. Strafe watched from a distance as the Genin used medical ninjutsu in combination with Ice Release to heal. It seemed like they had a lot in common. Strafe smiled as he walked up. Gattsu was speaking by the time Strafe and Momaru got close enough to hear, so Strafe listened as he approached. "It seems like something that needs correcting. I'll look in on it." Strafe spoke calmly as he approached behind Iro. Momaru was at his side, looking over the Genin. "I am Strafe Aisu, Iro's father, and I wanted to com meet my son's squad." His blue eyes jumped from both Genin to Kenshin and then finally to Iro. The poor kid had been through so much the last few years. He deserved some attention. "If I'm not mistaken you are Nobuya. Seals seemed to be your thing according to your chart. It's a talent you and Iro share with me. Come see me if you need some pointers." He spoke honestly as he then moved on to Gattsu. "Gattsu, I actually know your parents already. I'm sorry for all the misfortune you suffered. You use medical ninjutsu as well, correct? Come see me in my office and i'll make it a point to teach you personally. It's the least I can do." He then turned to Kenshin with a smile. "Kenshin, it's been a while my friend. Keep an eye on these three for me." The Sannin finished speaking then turned to Momaru. The lion shook his mane before speaking. "I know that you two don't know me. My name is Momaru, I am a part of Strafe's family, and so are you two now. Feel free to come see me if you need help with a mission or something." The giant feline spoke calmly as he waited for responses. Let's see what they think of the giant talking arctic grey lion. Iro watched as Gattsu walked up with someone. Whoever the man was, he was unconscious, which meant that he probably didn't follow the mission according to plan. Depending on the reason though, that fact didn't matter. Kenshin wasn't strict like that. Iro walked up soon after, making sure look closely at the man. He was still breathing, so he was sure it was going to be fine. A few minutes later, Nobuya arrived and looked slightly injured and out of breathe. What the hell happened? After a small exchange, Iro watched as Gattsu healed his teammate. It seemed that the squad was pretty well rounded. It was at that point that Gattsu started to speak about the situation with his family. It seemed that like his own family, they had seen many hardships. This made Iro feel a bit closer to Gattsu, as it probably was not an easy subject to speak on. Iro was about to speak when another voice chimed in that he didn't expect. He turned to see his father approach and Iro's face brightened up. His father had just returned after being sealed for years and every time Iro saw him, he was reminded of the fact that Strafe made it back to him and Noxxi. He listened as his father spoke. "It seems like something that needs correcting. I'll look in on it. I am Strafe Aisu, Iro's father, and I wanted to come meet my son's squad. If I'm not mistaken you are Nobuya. Seals seemed to be your thing according to your chart. It's a talent you and Iro share with me. Come see me if you need some pointers. Gattsu, I actually know your parents already. I'm sorry for all the misfortune you suffered. You use medical ninjutsu as well, correct? Come see me in my office and i'll make it a point to teach you personally. It's the least I can do. Kenshin, it's been a while my friend. Keep an eye on these three for me." As soon as they got close enough, Iro walked over and jumped onto Momaru's back, using his elbows to lean on the lion's head. Momaru didn't care and didn't even react. He missed his two family members very dearly. Not to mention that this would further confirm that Momaru was safe and trustworthy. His appearance could be a little off putting to some. Momaru also chimed in after Iro had settled. "I know that you two don't know me. My name is Momaru, I am a part of Strafe's family, and so are you two now. Feel free to come see me if you need help with a mission or something." Iro smiled as his family did exactly what he expected of them. They showed up to try and bring unity among Kirigakure shinobi as well as expand the family. Not to mention that having his dad around meant a lot of advantages for the team. Even Kenshin could learn a lot from a former Sannin and current seven swordsmen. He figured he would chime in as well. "There isn't much denying the invitations either, so just accept it. Dad, you could have told me you were coming. I didn't prep them for Momaru here or anything." He said with a chuckle as he was honestly curious about their reactions. How did he react to the lion for the first time? Well, Iro isn't normal when it comes to physical damage, so he didn't scare him much. These two can't turn their body into water though, so he would understand some fear and hesitation. One by one, each genin made his way back to the gates. First there was Gattsu, who arrived very shortly after Kenshin himself. He brought with him an unconscious man, which made Kenshin chuckle and shake his head. He wasn't disappointed, he just figured that would be Nobuya or Iro instead. Shows how much he knows. Next there was Iro, who didn't have much to say and didn't seem to have a scratch on him. Nobuya was last. He looked winded and had a small injury on his body. He was fine other than that though, so he considered that a pass on the mission in his book. Kenshin watched as Gattsu healed the injury, and thus his team had completed their first mission. Gattsu then began to speak, as it seemed he didn't like the silence much. Kenshin was aware of his family's ordeal and if Kenshin had extra money, he would help them. But honestly he was making of the graces of Kirigakure as it was. He was about to try and comfort his student when a familiar voice rang out. He couldn't have picked a better time. The former Sannin and current Seven Swordsmen, Strafe Aisu walked up with his lion. He had met Strafe in the past, but the lion was new. Either way, he knew Strafe to be kind and helpful, so he was a pleasant addition to the day. Plus Kenshin kind of asked him to come out. He would rather have help on his first squad. When Strafe spoke to Kenshin, the man immediately responded with "You have my word. Nice to see you again." He was honest as he had hoped Strafe would be here when he arrived at Kirigakure to stay. Momaru then spoke up towards the genin. Wait, the lion could talk? Something about the creature seemed warm and Kenshin instantly liked Momaru. Plus being a lion must be pretty freaking sweet. He could see his squad walking up and saying they were going on a mission with Momaru, and Kenshin would be fine with it. They were fortunate to have so many people in their corner. Iro then spoke up for the first time, which Kenshin could understand. His father was gone for quite some time. Kenshin couldn't help but notice the immediate change in how Iro talked and even moved. It was like someone gave him his life back and now he was ready to take on the world. The worried and quite genin was gone hopefully for good. Kenshin nodded in agreement with his student, making sure to back him up. Gattsu and Nobuya didn't really have a choice. He figured there wasn't much more to add, so he kept quite as he waited for Gattsu and Nobuya to respond. I held still as Gattsu quickly set to mending my minor injury. Of course, as a hyoton user, the jutsu's manifestation felt fairly cold, but it also felt fairly nice. Despite it not being a particularly hot day, it felt like it was pleasantly cooling me off. "Thanks Gattsu, that's a pretty cool jutsu." Gattsu finished forming the icy application and stepped back to where he was standing before I got here. As I admired the result of his work, he started speaking. Most of us are working for almost nothing, and to afford to be able to lose the extra source of income takes a lot of effort. My father worked many nights to have earned enough to retire without my income, My mother even watched a lot of the local children for quite a few years too. If you happened to be close enough to the original house you might still live in a nicer area, but my parents couldn't afford one until well after the property was bought." Wow, I had no idea. I mean, I knew that kind of stuff existed, but it's so easy to just forget about it sometimes, especially if it doesn't directly affect you. My family's just been living off the sea for a couple of generations now, apparently, and it's allowed us to live fairly nicely in Kirigakure. We aren't well off, but we're well enough off. Before anyone else could respond, a voice from my right spoke up, apparently addressing us. "It seems like something that needs correcting. I'll look in on it." I turned to see a tall man clad in blue and white approach us. I didn't recognize him at first, but before I had any time to contemplate, I noticed the GIANT white lion walking beside him. "Ahh!" I yelped in surprise as I jumped backwards slightly. I had already had one bad experience with a big cat today, and I was a little on edge. It took a second to realize that the man and the lion seemed to be walking together (not merely coincidentally beside each other), and I let my guard down slightly, though I still kept a suspicious eye on the lion. "I am Strafe Aisu, Iro's father, and I wanted to com meet my son's squad." What? Strafe Aisu, father of Iro? Like, the Strafe Aisu, father of Aisu who was trapped in a seal until just recently and whom we had planned to journey to save? I looked over the man, who seemed to have a very kindly demeanor, hiding the fact that he was in fact one of the most powerful ninja in the world, a sannin of Kirigakure. And he had a lion. Surprisingly, after greeting all of us, he turned to me first. "If I'm not mistaken you are Nobuya. Seals seemed to be your thing according to your chart. It's a talent you and Iro share with me. Come see me if you need some pointers." "Uhh, yes sir. Thank you very much for your offer. That is very kind of you and it is very nice to meet you, Master Aisu." My eyes flickered between him and his lion as I spoke. The lion was looking back at me, seemingly fairly relaxed, though still with a serious demeanor. I still don't trust it. I continued looking between the two newly-arrived acquaintances as Master Strafe greeted the other two members of Team Kenshin, offering Gattsu a similar invitation and revealing that apparently he had a history with Kenshin-sensei, calling Kenshin a friend of his. Iro playfully jumped on the lion's back, though my fears were not entirely assuaged. I did notice how joyful Iro looked, which did make me smile. He'd had such an emotional burden on his shoulders, and I was so happy that this burden could be lifted. I was also glad that everyone here was so close, but at the same time, I felt like the odd one out. The one that didn't belong. Strafe was the father of Iro, from the same clan as Gattsu, and an old friend of Kenshin. I was no one. Suddenly, the lion started moving its head, shaking his mane as my eyes squinted in suspicion. Even more suddenly and surprisingly, he started speaking. "I know that you two don't know me." As soon as the first couple of words came out of his mouth, I tripped and fell backwards so that I was sitting on the ground with my hands behind my back. I was too surprised, and slightly frightened, to move, so I just continued sitting as the lion finished speaking. "My name is Momaru, I am a part of Strafe's family, and so are you two now. Feel free to come see me if you need help with a mission or something." He seemed nice enough, but it was hard to see past his intimidating features. Well, Gattsu seemed just as intimidating at first too. Stop being so judgemental Nobuya. As I was mentally composing myself, my body still paralyzed by fear, Iro spoke up. Finally, I managed to unfreeze myself and cautiously greeted Momaru. "It's very nice to meet you as well, Momaru. Thank you as well for your offer. You look very strong and powerful and intimidating and stuff...uhh...as well...Though not intimidating in a bad way! In a good, helpful way..."
My voice trailed off as I gave a nervous smile to the lion. Welp, that introduction could've been better, Nobuya. Way to judge a book by its cover. Almost as soon as he had finished speaking, a voice piped up and a man began walking towards them. The man walked alongside a large white lion, and Gattsu remembered the legends told to children when he was growing up. The legends of Strafe Aisu, A man who had become a sannin, and one of the seven swordman. It was claimed he ould rival even the Mizukage, but for such a legendary person, he seemed plenty pleasant enough. "Ahh!" Nobuya yelped in suprise upon seeing the lion near him. Must not like cats. I'm more of dog person myself too. "I am Strafe Aisu, Iro's father, and I wanted to come meet my son's squad." Well, i figured his dad would be strong, but not Strafe himself. I wonder how much convincing it would take to get him to teach me Bojutsu? He turned and greeted Nobuya first, speaking calmly, but friendly. "Gattsu, I actually know your parents already. I'm sorry for all the misfortune you suffered. You use medical ninjutsu as well, correct? Come see me in my office and i'll make it a point to teach you personally. It's the least I can do." His words carried a tone of empathy, and Gattsu began to think about what he should say. "So, Mister Strafe. Are the legends true? Thank you for your kind words, and ill gladly take you up oon the offer to learn your medical techniques firsthand." Gattsu pulled out his notebook, and scribbled something down before tearing out and handing it to Strafe. That note should be enough to get a calm chance to speak with him later. I hope he's friendly with the innkeeper. It was then the lion chose to speak, his voice loud and booming. Gattsu's jaw dropped, unable to form even the most basic of sentences. Nobuya recovered his calm first, and spoke his words with a stumbling conviction. After he was finished, Gattsu had managed to shake himself back into reality. He walked up to Momaru, Staring dead in his eyes. Gattsu uttered his next words out with noting more than a mere whisper. "That's bloody amazing... You look quite soft. Can I hug you?" He left his face right up against the lions, showing no fear or anger in his eyes.